What are the basic components of my roof? West Side Roofing services all of Northeast Ohio for their commercial and residential roofing needs. West Side Roofing is a GAF Master Elite Contractor for the GAF Corporation. 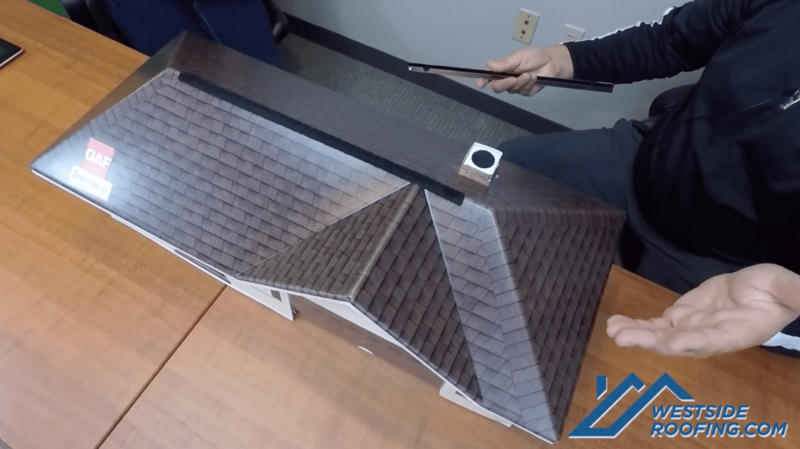 We get a lot of questions during consultations or even on the job about what layers are used to replace a roof or install a brand new roof. 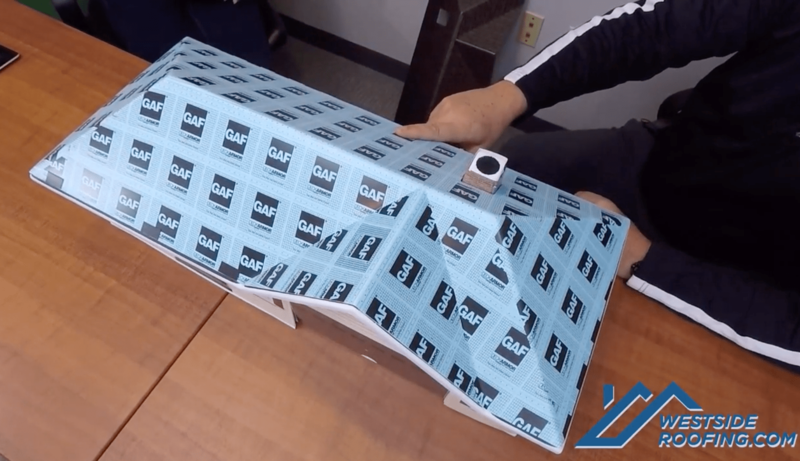 Luckily, GAF has provided us with a model to help explain the basic components of your roof. This model represents a ranch-style home with Timberline HD shingles. The first layer to your roof is ice guard. In the model, there is black lines that surround the perimeter, peaks, valleys and ridge vent. This is representative of what is called ice guard. As you may have guessed by the name, ice guard is a shield of protection to prevent water, ice and snow from getting into your roof. The valleys are common grounds for heavy flow of water, ice and snow. We put ice guard anywhere we foresee problems. In our world, ice guard is mandatory by most building departments because Cleveland is in a cold climate zone. Ice guard is the best invention to roofing in the last 20-years. We buy it by the truckload. It goes on every job. Once ice guard is installed, we move on to the underlayment. 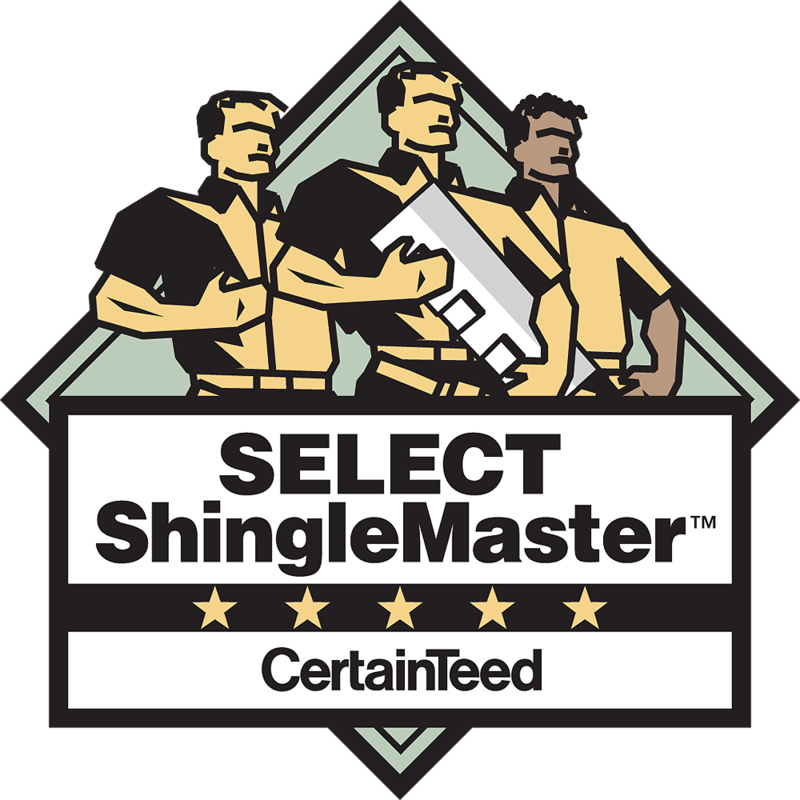 Underlayment is another protective layer that goes on before your shingles. The underlayment we install is a synthetic underlayment, but in this model we're showing a deck layer which is a breathable underlayment. How many types of underlayment are there to choose from? If you go back to the old school days, your options were limited to a 30 lb felt underlayment, which is an asphaltic felt or a 15 lb felt underlayment. Now synthetic underlayment is becoming very popular. You can put it down with a staple, as long as the shingles go on immediately that same day. If you're going to leave the synthetic underlayment exposed to weather, you have to use a plastic button-cap nail, otherwise it will leak. Just the underlayment (with the button-cap nail) can hold up to 3-months with no roof on it. This is ideal for those working on big commercial projects; however, our general protocol is to tear-off and re-roof the same day that you're doing the project. Once your underlayment is laid, next up is your roof. There are many different options when it comes to material and styles for your roof. In our model example, they're using a Timberline HD - which is an an architectural shingle - it's very popular. 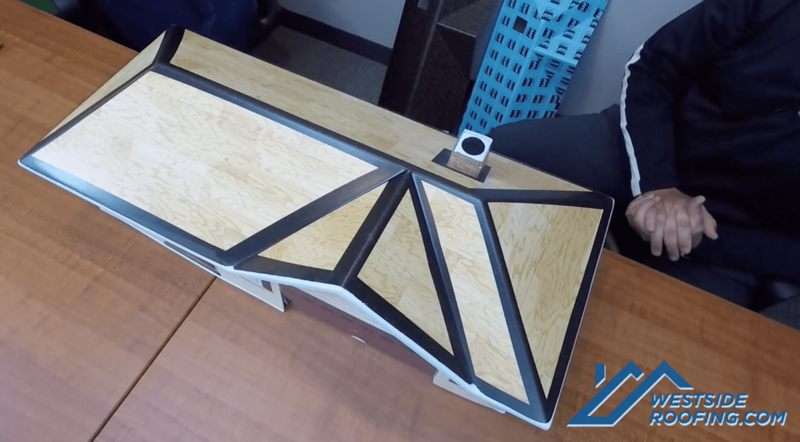 It has a ridge-vent on it - which lets the release of hot air from your attic. The ridge vent lets the roof breathe. 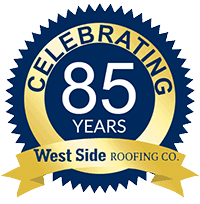 West Side Roofing is licensed, bonded, and insured in 42 municipalities. We cover Cuyahoga, Lorain, Medina Counties and much more. If you're looking for a roofing company, look no further than the team here at West Side Roofing. Click the button below to get started or give us a call at 877-881-ROOF (7663).